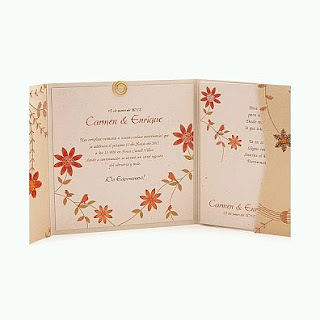 Today has become very popular the theme of protecting the environment and ecology, if brides are committed to this, congratulations ... then we present you some interesting models for cards and invitations for your wedding ecological ideals. 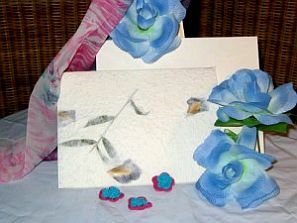 Model made from recycled paper card, and the silhouette of leaves and petals, matching belt, looks good. 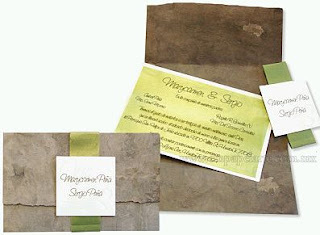 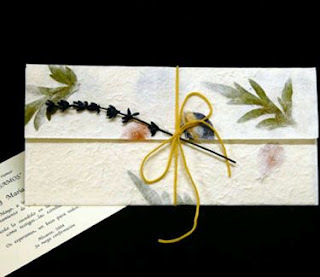 Another model of recycled paper, both the envelope and the invitation inside have this feature, the paper leaden color looks good with green ribbon securing it. 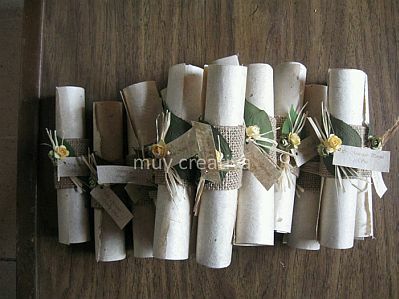 Interesting proposal, these wedding cards in the form of recycled paper scrolls, secured with a piece of rough fabric and a small bouquet. Another beautiful proposal wedding cards and invitations on recycled paper, blue tone is perfect for elegant and romantic weddings. 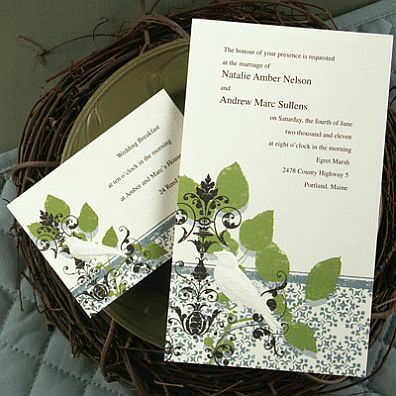 Model with green applications as a frieze on the bottom, the branches and leaves give a touch of commitment to nature. 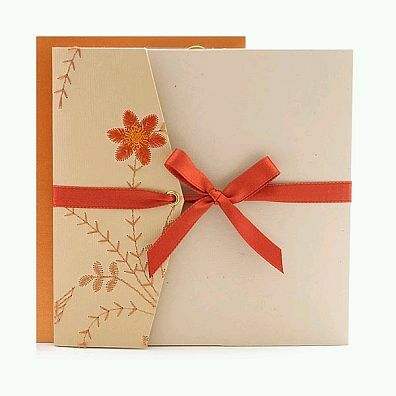 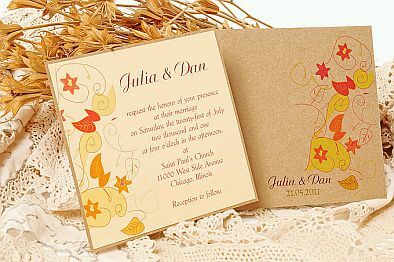 Another proposal with leaves, flowers and branches in earth tones and orange. Beautiful invitation card, the detail that stands out are the branches and flowers in high relief, matching tie. 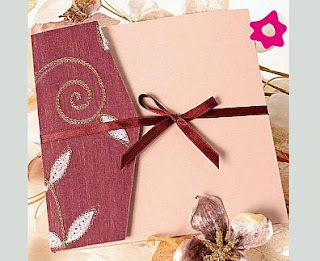 And if you prefer another color, the result is equally impressive, as you can see in this picture.